Jordy Clasie was the club captain of Feyenoord before he left the club in 2015 for Southampton on a 5-year deal. Ronald Koeman, manager of Southampton, had worked with Clasie when he was manager of Feyenoord. 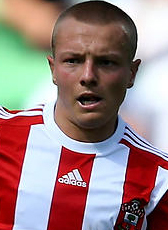 Clasie made his official debut for Southampton in the match against Vitesse in the third round of the UEFA Europa League in July 2015. After the departure of Koeman and suffering from injuries, the future of Clasie at his club was unclear. In August 2017 he played a season loan deal to Club Brugge. In summer 2018 he was send on another loan period. His former club Feyenoord was happy to sign their former captain Clasie for the 2018-19 season.